Few, however, dressed more creatively than Nancy. The turbans and scarves she customized in the early 1920s, the geometric fabrics she commissioned from the artist Sonia Delaunay, the enormous African earrings and ivory bangles she began wearing in the mid-1920’s, all looked astonishing on her and were seized upon by journalists as a possible start of a trend. 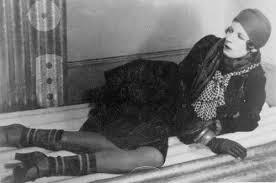 – Judith Mackrall speaking of the author, socialite and political activist Nancy Cunard (1896-1965) in her book Flappers: Six Women of a Dangerous Generation (Farrar Straus, & Giroux). What was the number one fashion question searched on Google in 2014? What to wear on an interview. What to wear to a concert. What to wear with legging. How to wear ankle boots. How to wear a maxi skirt. Hmm … matches brown or goes with brown? My favorite color with brown is a mauve-pink – like dark chocolate and strawberry ice cream. I hope one of the other 80 fur coats was a better fit for John. 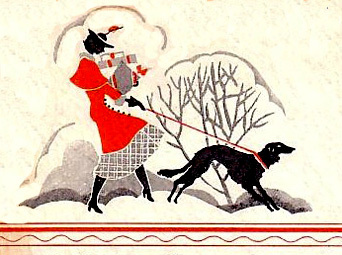 Since it had been a slow season for fur and this was a celebrity request, Mr. Goodman told Mr. Cohen to oblige the lady. 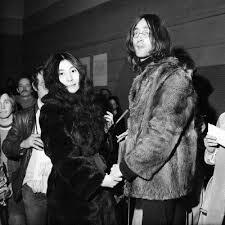 So, he and an assistant carted over several chests of furs and for over two hours Yoko pulled out coat after coat saying to John, “This is for my sister and this is good for you and …” The couple bought close to 80 fur coats. EIGHTY coats for a grand total of over $400,000. Imagine all the people (and animals) who could have benefited from that kind of money. Mr. Cohen ended the story by saying this had never been done before and that night he slept very well. It was a Merry Christmas after all, for some. 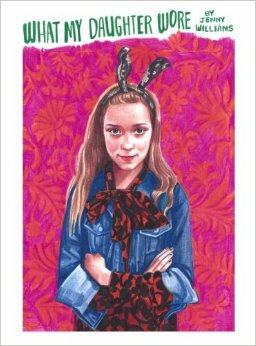 This is one of many interesting tales recounted in the documentary film, Scatter My Ashes at Bergdorf’s by Matthew Miele. Bergdorf Goodman is an iconic NYC luxury department store known for the best in merchandise and excellent personal shopper services. It wouldn’t be the holidays without sneaking into Mom’s Closet. Click here and check it out. Commercial constraints, as well as the frenetic pace of collections, don’t leave any freedom nor the necessary time to find fresh ideas and to innovate. – fashion designer Jean Paul Gaultier. In September Mr. Gaultier announced that he was giving up his men’s and women’s ready-to-wear lines so he can devote more time and energy to couture.